Render-vations was founded in 2006 and has successfully continued to earn a reputation as one of the best within the industry. Current owner Jared McLeod has worked within the company since it’s beginning and in 2013, he took over Render-vations as Owner and Director. 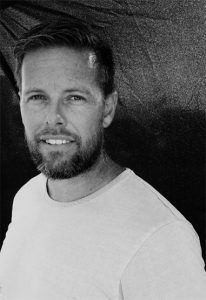 Jared has over 20 years solid plastering experience within South East Queensland, Northern New South Wales, and NZ. During this time, Jared has gained a vast knowledge of the many and varied texture coatings and finishes. Jared has also had comprehensive training in the application of Artisan Natural Material render finishes and is a certified Artisan. It is armed with this knowledge and experience that Jared will be able to guide you through the selection process and ensure that your project is everything you hoped for and more. We are a family owned and operated business that cares about customer satisfaction and maintaining the highest standard of guaranteed workmanship. If you are looking for quality of work coupled with old-fashioned reliable service, you need not look any further. The friendly expert team of qualified, licensed and insured solid plasterers at Render-vations is committed to providing you with only THE BEST in rendering (solid plastering) services. Our Gold Coast based Render-vations team is experienced in all forms of cement render, texture and acrylic coatings including external painting services and we take pride in our work. We use only the highest quality render products, many of which come with a guarantee. Clean up is important to us - all flooring, fixtures and surrounding areas will be protected and left clean and undamaged from the cement render process, using masking and drop sheets before work even begins. Based on the Gold Coast, we also service parts of Brisbane and Northern NSW. Whether you are a developer, builder, homeowner or renovator, Render-vations can help in transforming your most valued asset into something truly outstanding! If you are considering selling your home, there are many economical render options to increase your street appeal and maximize your sale return. Don't trust your house to anyone else. We are not happy unless you are and our service and quality is guaranteed.